Gionee has launched Gionee M7 Power smartphone in India which comes with Snapdragon 435 Processor and 5000mAh Battery. 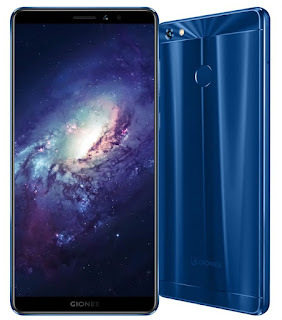 Gionee M7 Power Smartphone has a 6-inch (1440 x 720 pixels) HD+ 18:9 FullView display with 85% screen-to-body ratio powered by Snapdragon 435 Processor with 4GB of RAM and 64GB of internal storage. Dual SIM device runs on Android 7.1.1 (Nougat) with Amigo OS 5.0. On Camera, it has a 13MP rear camera with LED flash, f/2.0 aperture, PDAF and 8MP front-facing camera It comes in high-grade 6-series aluminum back shell with laser-engraved and laser-drilled finishes and has a fingerprint sensor on the back that doubles up as a camera shutter key, to access flashlight and more.Packed with a 5000mAh battery with intelligent power management that promises up to 2 days of battery life. Gionee M7 Power is priced at Rs 16,999 in India, pre-bookings open November 17 on Amazon India available from November 25 Gionee has also partnered with Reliance Jio for data offers for the M7 Power buyers. The Jio customers, who buy the M7 Power, will get 10GB extra data each month, for a period of 10 months on any data recharge of INR 309 and above.